I have a lot of sweet baseball memoribilia. Autographs from my favourite players - Ted Williams, Dom DiMaggio, Johnny Pesky, Bobby Doerr, Willie Horton, Bill Freehan and Bob Feller. I've got a uniform swatch and bat splinter from Ty Cobb. I've got ancient baseball books that have been out-of-print for decades. I've seen a no-hitter live - Jon Lester's No-No - from the Green Monster seats at Fenway. I WANT A SANDY KOUFAX AUTOGRAPH. 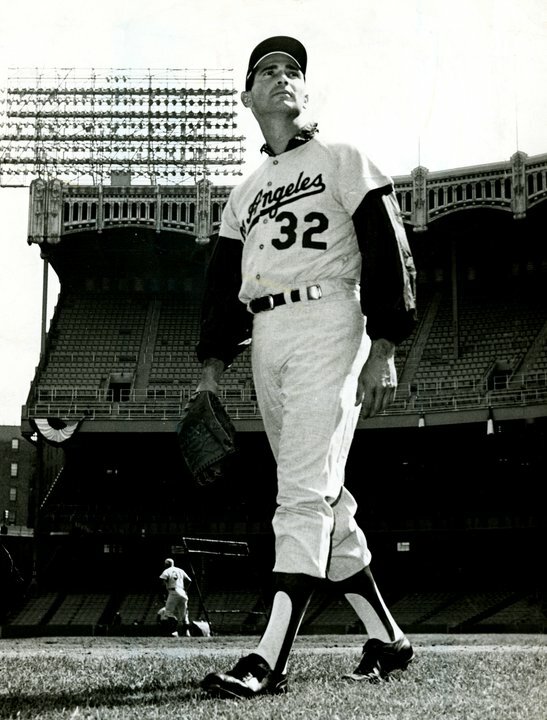 To me, Koufax is baseball's version of J.D. Salinger - if Salinger could throw heat seeking missiles and a curveball that would drop off the face of the earth. 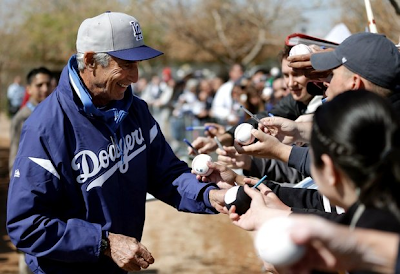 Koufax is 77 years old. He is back with the LA Dodgers. 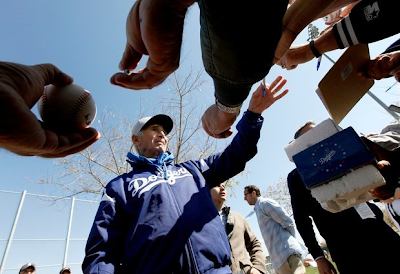 He's at Spring Training in Glendale, Arizona as a special adviser to owner Mark Walter. This guy defines the term LEGEND. On rare occasions, God creates a human with super-human skills - but puts an 'achilles heel' into the mix. Bobby Orr and his bad knees. 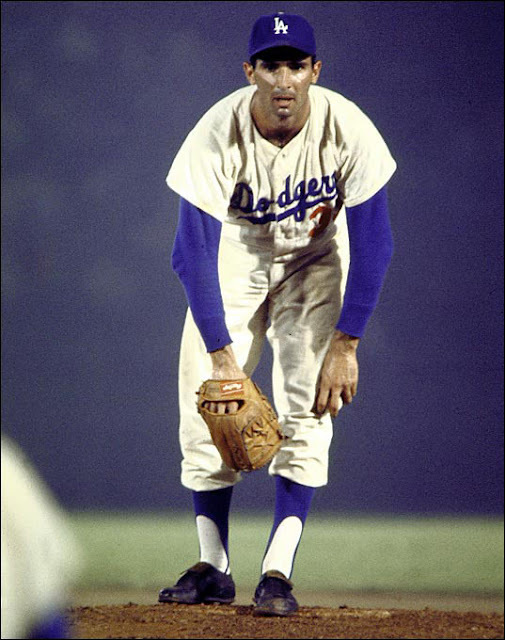 Sandy Koufax and his arthritic left elbow. 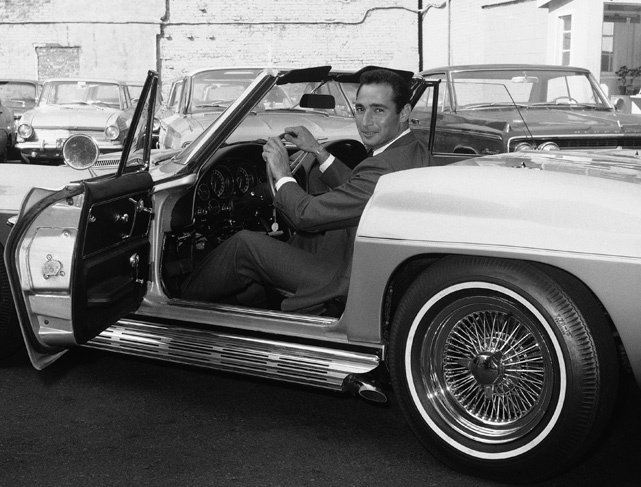 I LOVE Sandy Koufax. Please, please...somebody hook me up!